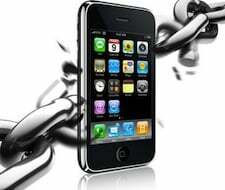 Few days before, Apple released its long-awaited iOS 4.2.1 update for the iPhone, iPad and iPod Touch. For Apple iPad, it is the first major update after its launch. After this update, iPad users can now take advantage of features like multitasking, threaded messaging, app folders and much more. iOS 4.2.1 also comes with new features like AirPaint and AirPlay for all iOS devices. AirPaint allows you to take prints from the mobile while AirPlay for streaming between mobile and Apple TV or other AirPlay-enabled hardware. This new features surely be useful and makes iOS devices more powerful than ever before. However, for iOS devices Jailbreakers, the only thing they need to worry about is whether they able to jailbreak the new iOS update? And the answer is YES, you can jailbreak the latest iOS 4.2.1 update on iPhone, iPad and iPod Touch. 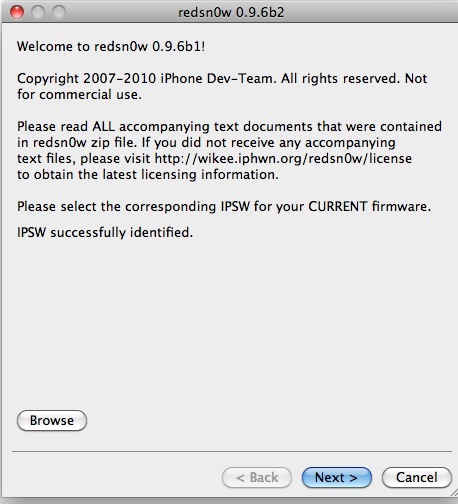 iPhone Dev Team released Redsnow 0.9.6b4 that can be used to jailbreak iOS 4.2.1. While iOS 4.2.1 is tethered for devices such as iPhone 3GS (new bootroom), iPhone4, iPad, iPod touch 2G (MC model), iPod touch 3G and the iPod touch 4G whereas iPhone 3GS (old bootroom), iPhone 3G and iPod touch 2G (Non-MC Model) can be jailbroken untethered. 1) Download iOS 4.2.1 IPSW for iOS devices. You will find all download links at the bottom. 2) Update your iDevice to iOS 4.2.1 via iTunes 10.1. Select your iPhone in iTunes, browse and select the latest FW iOS 4.2.1 IPSW. 3) Download Redsnow 0.9.6b4 and browse it to iOS 4.2.1 you downloaded in the first step. 4) Redsnow will now prepare the jailbreak data. 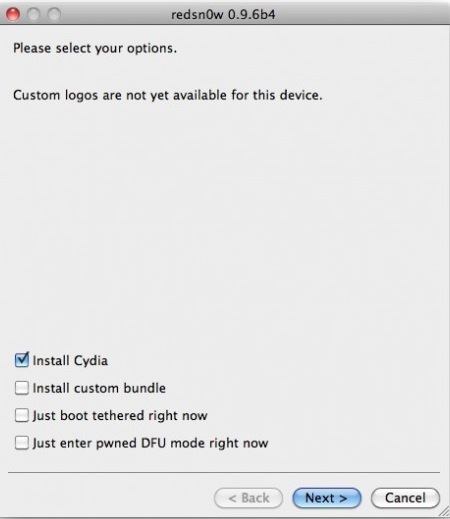 Now, select “Install cydia” and click “Next” as you see in the image below. 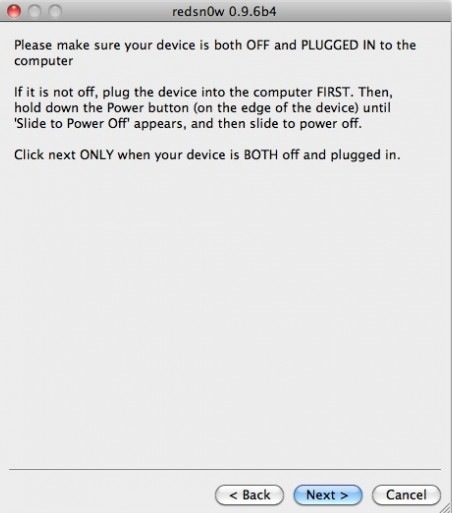 5) In this step, please make sure your device is both OFF and Plugged in to the computer. Click “Next”, a prompt will appear where you have to put your device in DFU mode by holding “Power” and “Home” button for nearly 10 seconds. Now, release the “Power” button while holding the “Home” button until you see a process start for installation. 6) Click on Finish after the installation process ends, you device will automatically restarts and now you will use all the features on your jailbroken latest iOS 4.2.1 device. 7) This step is only for iPhone 4, iPhone 3GS (New Bootrom), iPod touch 4G, 3G, 2G, and iPad. From here onwards, whenever you want to do anything related to jailbreak, on every reboot you must run your device in the “jailbroken state” by using “Just boot tethered right now” option available in Redsn0w. That’s it, you have jailbroken almost any iPhone device working on latest iOS 4.2.1 update.